Top Chef not hot enough for you? See some real culinary action live, every night from Minneapolis' D'Amico Kitchen. For the launch of new Minneapolis Restaurant D'Amico Kitchen and Osteria in the Chambers Hotel, Brew Creative decided to feed the public's fascination with celebrity chefs and the culinary arts on a daily basis. 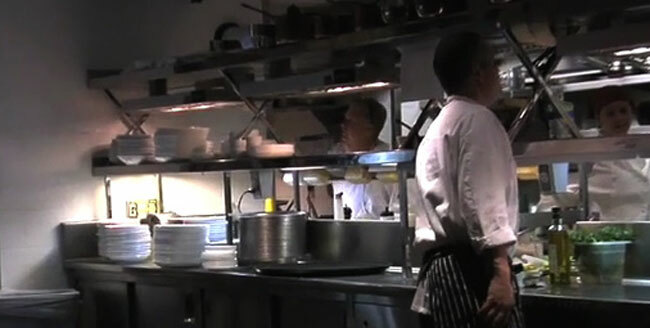 The agency placed cameras in the contemporary Italian restaurant's kitchen, and everyday, from 7:30 to 10 pm, visitors to the D'Amico site can see executive chef John Occhiato and his staff preparing meals in real time. The live footage from the restaurant will also be projected onto a wall of Eden, the Chambers Hotel's courtyard bar, where it will also be visible to passersby on Minneapolis' busy Hennepin Avenue.